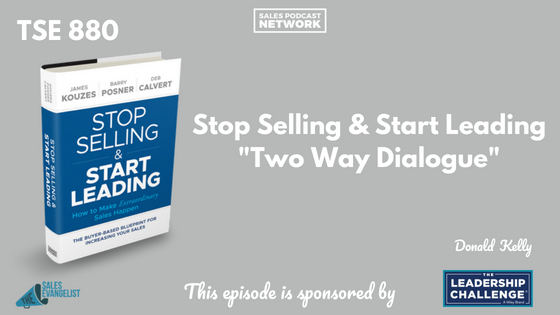 TSE 880: Stop Selling & Start Leading-"Two Way Dialogue"
Sometimes, the relationship between seller and customer goes bad. Small mistakes grow into tension and the relationship starts to sour. In this case, it doesn’t matter who’s right or wrong. You must be the leader who initiates a two-way dialogue. This is the final episode of our three-part series about the book Stop Selling & Start Leading, and we talk about connections and two-way dialogue. 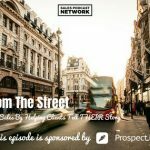 Our first episode on Monday was about building trust and innovating as sellers, and the second addressed innovative sellers and their role in successful sales processes. 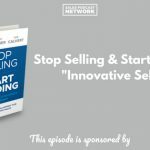 Even if you don’t listen to them in chronological order, listen to all three episodes so you’ll have the tools to move into a role as a sales leader and business advisor. You worked hard to bring that client on as a customer. You promised all kinds of things, but you disappeared after the handoff. Even when everything is going well in the transaction, sellers will notice your disappearance. Ideally, meaningful connections survive long beyond closing the deal if you foster the relationship, and there are countless ways to do it. Send your customer a birthday card; stop in to see how he’s doing; call to check in; send a message on social media when you see something that makes you think of her. Better yet, recognize when your client achieves excellence. Find out when people in the company get awards and acknowledge the effort. If, for example, one of my previous clients learned of my intention to launch a new podcast and reached out to congratulate me for it, that would be meaningful to me. It represents their acknowledgment of my work, and I’d appreciate it. When relationships deteriorate, both sides lose money. When both sides come together to address the problem, solutions often emerge. Stephen Covey, in his book The 7 Habits of Highly Effective People, teaches that you must first seek to understand others. Once you understand their point of view, you can explain your own. Be transparent. Show respect. When someone makes a decision you don’t agree with, don’t play the victim. Understand your customer’s strategic plan as well as the impact of your decisions on your customers. Be open to your customers’ ideas and get rid of the “us and them” mentality. Ask yourself what you can do to help them, and be humble. In some cases, your initial efforts at resolution may fail, and some people might be tempted to walk away from the relationship. Address issues head-on, and act like a leader. Change your thinking from a belief that you’re simply a salesperson to a belief that you’re the CEO of your territory. Help the business grow by mending broken relationships. Grab your free excerpt of the book here, and view the SlideShare that explains many of the leadership principles you need to stop being subservient to your customers. If you prefer, download the SlideShare so you can refer back to it.